What is my Domain Names & Intellectual Property Worth? How Can I Determine the Value of My Domain Name? Prices of domain names can range from $10 to well over $1 million. Correctly establishing the value of a domain name requires a person who is in tune with the state of the domain name aftermarket. At this time we only provide domain values and estimates for names that we place in our live auctions. High value domain sales oftentimes depend on the motivation of the buyer and seller. When a motivated seller acquires a domain from an unmotivated buyer, that is when you see historically high sales. 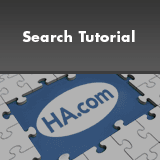 This link will show you a list of a few high priced domain sales: https://domains.HA.com/information/buy-premium-domain-names.s. Another way to establish a value is to check recent comparable domain sales. www.DNJournal.com has a weekly sales report of premium domain sales and www.NameBio.com is a site which allows you to search for past domain sales based on several criteria. 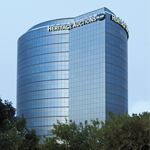 Heritage Auctions is seeking premium names for consignment. If you feel you have a premium domain name, based on the considerations above, please contact us.